The Ketogenic Diet aka The Keto Diet has gained a lot of popularity lately, it is essentially an extremely low carbohydrate, moderate protein and high-fat diet. Its proponents believe it to be an advance dieting protocol for skyrocketing fat loss. But Ketogenic diets are nothing new in the health and fitness industry, in fact, they were first introduced during the early 1900s for the treatment of epilepsy (for which it successfully worked). Later on “Dr. Atkins Diet Revolution” which sold millions of copies in the early 1970’s generated the largest increase in public awareness of the ketogenic diet as a fat loss diet. But during the 90s as dietary fats began to gain a bad reputation for causing heart attacks, a diet high in carbohydrates and low in fat diet became the general norm for health. And the Keto diet fell in obscurity. But it has made a stellar return in recent times. So, does the Keto diet really live up to its hype? In this article, we will be scientifically breaking down everything you need to know about the ketogenic diet. * What is it? 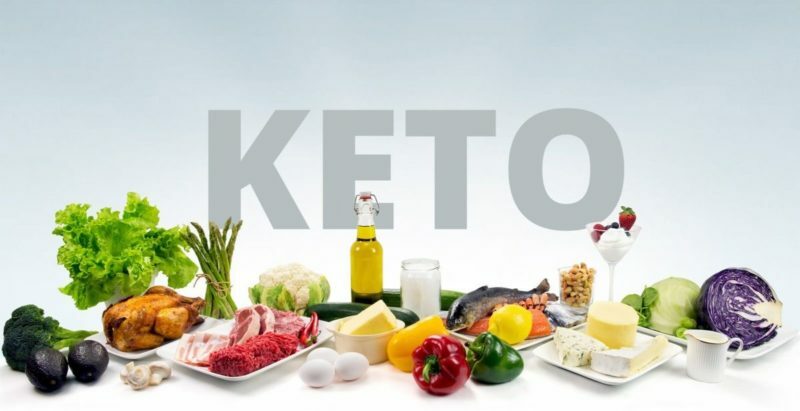 * What is Ketosis & how it works? * Is it superior to other diets? (Advantages) * Who should do it? * Who should not do it? * How to design your own Keto Diet? * Which supplements to take? What is a Ketogenic Diet? There are four macronutrients the human body can get energy from carbohydrates, proteins, fats and alcohol (yes, it is). For a healthy and well-functioning body it is better you get most of your energy from the initial three sources i.e. carbohydrates, proteins, and fats. Calories are the amount of energy your body can derive from these macronutrients. Caloric content of all four macronutrients is mentioned below. Normally a person consumes a mix of carbohydrates, protein and fats. A Keto diet eliminates all the sources of carbohydrates and primarily consists of high fat and protein foods. Typically a person on keto would be consuming carbohydrates ranging from 80g / day to as low as 30g / day. Fats and Protein need to be adjusted as per the rate of intended fat loss and body mass respectively. (more on it in the last section) What is Ketosis & how it works? If you have ever tried to research about the Keto diet, you’d have most probably come across the term ‘Ketosis’ which is the main mechanism of this diet. Before we understand what is it and how it works. It is important to understand how the human physiology works itself. The macronutrients we consume are broken down into certain substrates which the body then utilizes for various purposes. Thus, it is not carbohydrates which provide you with energy, it is its substrate i.e. Glucose which does. The substrates of all 4 macronutrients and their primary role are mentioned below. *These macronutrients & substrates have more roles to play in the human body but discussing all of them is beyond the scope of this article. In normal circumstances, the body mainly relies on glucose for the majority of its energy requirements. The heart is an exception which functions on a mix of glucose, FFA and ketones. In case of a Keto diet as we cut the supply of carbohydrates, initially the body utilizes all of its reserved glucose stores in muscle tissues and liver. Next, the body starts looking for fuel alternatives. The first option is to convert the stored protein in muscles into glucose (via gluconeogenesis) and use it. But solely relying on this mechanism will cause redundant muscle tissue losses in vital organs such as the heart, and eventually causing death. The second option is to oxidize Free Fatty Acids (FFA) in the bloodstream and stored body fat, for energy requirements. Most of the tissues in the body can use FFA for fuel. However, the brain cannot function on FFA. The body then begins to oxidize fat for the production of Ketones. Ketone bodies are the byproduct of the incomplete metabolism of FFA in the liver. And brain can derive up to 75% of energy from Ketone bodies. Chiefly a Ketones are a fat-derived fuel alternative for the body. The human body is always producing ketones in some amounts but under normal dietary conditions, they play an insignificant role in energy production. In a ketogenic diet, ketones play a significant role in energy production, especially in the brain. When ketones are produced at accelerated rates, they accumulate in the bloodstream, causing a metabolic state called ketosis. This shifts the body’s metabolism from glucose utilization to fat utilization, which is the fundamental principle of a keto diet. Is it superior to other diets? The primary goal of any diet should be to maximize true fat loss (not just weight loss) and minimize muscle loss. The proponents of Keto diet often claim it to be a superior diet for fat loss by stating: “because your body is oxidizing fat for energy processes, your body turns into a fat burning machine” I am sure you must have heard that from a pro-keto. Although your body is actually oxidizing fat for energy production, all of it is not body fat (which you want to lose) and at the same diet you are also consuming a lot of dietary fats, ranging anywhere from 150-250g per day. Thus, when caloric intakes are matched the amount of fat loss on a conventional balanced diet and a ketogenic diet is about the same. Therefore, total caloric intake is the key driver of fat loss. And if you overeat calories on a Ketogenic diet, you will still gain fat. CALORIES IN < CALORIES OUT = FAT LOSS Another popular belief is that a Ketogenic or any other low carb diet produces fat loss at an accelerated rate. Individuals on a keto diet will observe a weight drop of 500g-1kg within one day. However, this is mainly due to water loss from the body and not a true fat loss. Cutting carbohydrate intake affects water levels in the body. Every gram of carbohydrate stores 3 grams of water in the body, this can account for a lot of weight for larger individuals. Additionally, ketones themselves have a diuretic effect causing the excretion of water and electrolytes, including the excretion of sodium, which itself causes water retention. Therefore, a lot of weight drop which occurs initially on a keto diet is water weight. Once water loss has been taken into account, the rate of weight loss seen, as well as the total fat loss is generally the same for ketogenic versus non-ketogenic diets. Hence, ketogenic diets do not appear to be superior to a conventional balanced diet in the scientific literature. Nevertheless, we should not forget that diets are followed outside the four walls of a laboratory and a Keto diet can offer certain advantages to a dieter. Supposedly Less Muscle Loss As we mentioned earlier apart from generating a maximum fat loss, a diet should also ensure minimum muscle loss. When calories are cut to create a caloric deficit in the body (which includes reducing carb/fat intake). The body experiences a scarcity of glucose and in order to make up for it, it starts to break down protein for glucose production. This protein breakdown is what causes muscle losses. Since the body relies on fat oxidation for energy on a ketogenic diet, its glucose requirement goes down, consequently, breakdown of protein for glucose production also goes down. Hence, a Ketogenic diet can have a more muscle preserving effect than other diets, especially on very low calories. More Satiety It is not unusual for dieters to experience hunger pangs throughout the day during a fat loss phase, as you are eating less than your body needs. This makes adherence difficult especially if the diet is very low on calories and has lower satiety level. A Keto diet has a relatively higher fat content than conventional diets and fat tends to digest slower, which means food stays in the stomach for a longer period, creating a sense of fullness and satiation. This can make adherence to the diet easier for some individuals. Motivation Boost As mentioned earlier a ketogenic diet can produce rapid weight drop in a short span due to fluid losses from the body. Although, it does not make much of a difference from a true fat loss perspective it can boost motivation significantly which will make an individual stick to the diet and eventually lose more fat. Who should do it? Individuals wanting to drop a lot of fat in a short period. As we discussed in the above section the key driver for fat loss is the number of total calories you consume. Dropping a lot of fat in a short period requires cutting calories drastically. Since a keto diet offers more satiety, it is suitable for this purpose. Anecdotally, individuals for a given amount of calories feel more full and satisfied on a keto diet compared to a conventional diet. Physique athletes during the last stage of cut Going below essential levels of body fat (sub 11% BF) requires severe caloric cutting, especially during the final weeks of cut. The hunger blunting, higher satiety and fullness effects of a ketogenic diet make it an ideal choice for the last stage of cut wherein a balanced diet would fail. Getting photoshoot ready It is a well-known fact that celebrities and athletes consume very low carbohydrate diet for few days before their photoshoots. The diuretic effect of Ketogenic diet reduces the water level in the body, making muscles appear sharper and more prominent. Note: This will only work if you are already pretty lean i.e. below 14% body fat or men and below 25% for women. High Blood Pressure & Type II Diabetes Patients Individuals suffering from high blood pressure can benefit from Keto Diet as it produces drop in blood pressure. Additionally, Type II diabetes patients can also benefit as Keto diet normalizes blood glucose and enhances insulin sensitivity. Still, it is highly recommended that you consult your physician before starting any unconventional diet. Who Should Not Do It? Individuals aiming for bulking or injury recovery Insulin-like growth factor- 1 (IGF-1) is a potent and vital hormone for building new muscle tissues and other anabolic processes in the body. The liver produces IGF-1 but only in the presence of insulin. Since Keto diet restricts carbohydrate intake consequently suppressing insulin levels. Therefore, the keto diet is not ideal for a situation requiring tissue regeneration, like bulking or injury recovery. High-Intensity Sport Athletes Carbohydrates are the preferred and more efficient fuel source for the body. Therefore, athletes involved in high-intensity sports such as weight lifting, football, sprinting etc. are better off a keto diet. Type I Diabetes Patients Type I Diabetic Patients have a complete inability in their pancreas to produce insulin which can lead to a pathological condition called Diabetic Ketoacidosis. A healthy person on a Keto diet will have blood ketone levels of 5-6 mmol/dl. A person with Diabetic Ketoacidosis might have blood ketone levels up to 25+ mmol/dl. Such, high levels of ketone bodies in the blood can be detrimental to health and even cause death. How To Design Your Own Keto Diet? Now, that we have gathered all the necessary information, let’s discuss how to design your own Keto Diet. It is fairly a simple task, ensure adequate protein intake and get most of your calories from dietary fat. 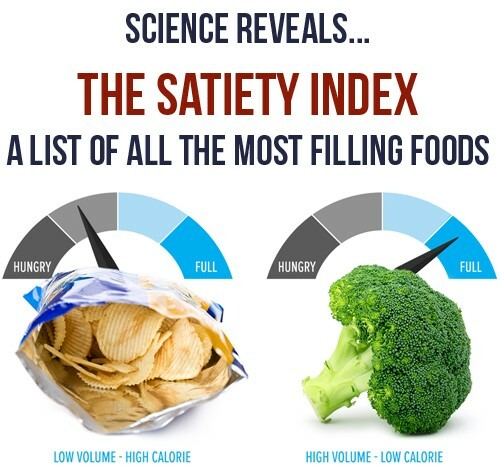 STEP 1: Fix Calories We need to fixate on the number of calories you will be consuming (because it is all about calories in vs calories out). But first, let’s figure out your maintenance calories* Maintenance Calories* The number of calories your body needs to maintain your current bodyweight. How to Calculate it? For instance, you are an 85 Kg (~190 lbs) man with a desk job, who trains 3-5 times/week. Your estimated maintenance calories will be 190×12 i.e. around 2300 Kcal/day. For creating a decent caloric deficit let’s reduce 300 calories. Therefore, your daily caloric intake will be around 2000 calories. substitution of chicken for eggiterians! . The great work from Alphayash fitness. Put it out the best. keto is the best but skipping carbs isn’t bearable by many. I believed in low carb diet more than changing to be a keto person.